Congratulation, You Made It! – Love Yours Gives, Inc.
Home Blog Congratulation, You Made It! If the answer is no, give yourself a little grace (just a little) and get back in the race. 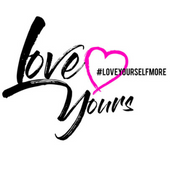 Listen to music: #LoveYourselfMore playlist on Apple Music is a perfect starting point. Search #LoveYourselfMore 001 on Apple Music and turn up the volume…or use your earbuds if you’re at work. Watch a motivational video or Ted Talk. Start this Ted Talk at the 9:30 mark. It’s tough love but gets to the point!